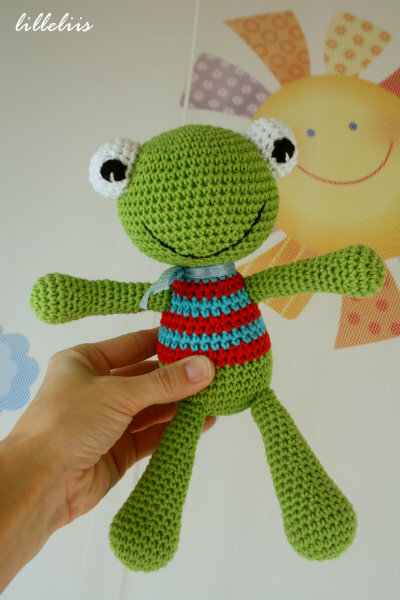 I made this simple frog in the previous year. First I had a bigger plan with this model. I had an idea of several different characters based on one model. I even made some experiments, but… As it sometimes is in life, you loose interest in things or you find other things that attract you more. 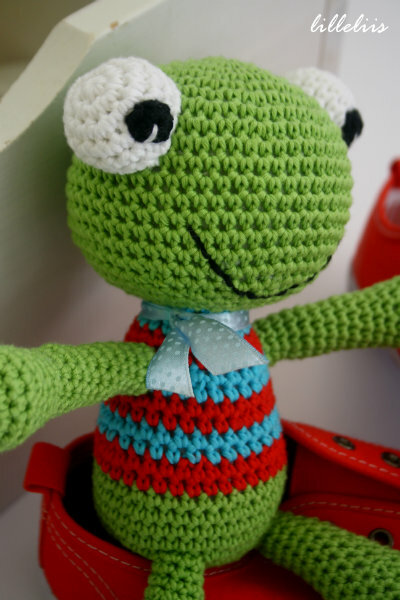 However, I still loved the frog and thought it would be a simple and fun pattern to share with you for free! So, as I said it is very simple to make. 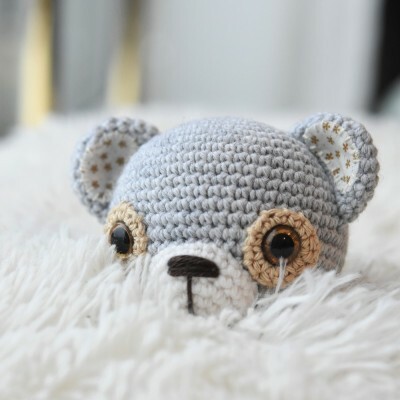 The pattern only uses single crochet stitch. And another great thing about this toy is that you don`t need safety eyes. It`s made without any stiff parts, very soft and baby safe. I named him Felix the Frog. Click here to open the FREE PATTERN. 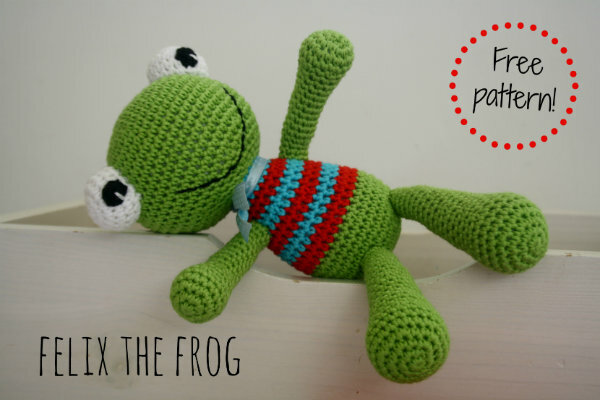 This entry was posted in Frog, New patterns and tagged Baby, DIY, Freebies, Pattern. I seem to be having the same trouble as others – the link seems to be broken. 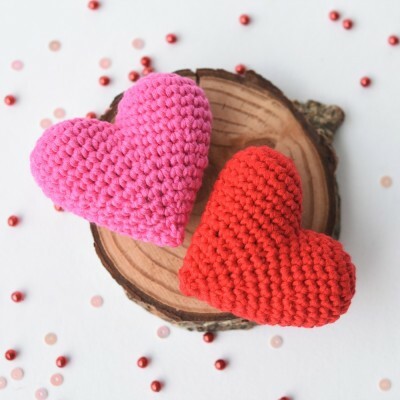 I have used the pattern before and loved it so I am actually just going back to make another one – I’m hooked! The link to the pattern is here. Glad you like the frog! Thanks for the notice! 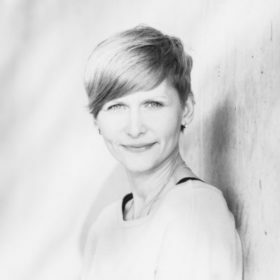 I´ve fixed the link. Hi! The link was broken. I have fixed it now.